Ununseptium (Uus). 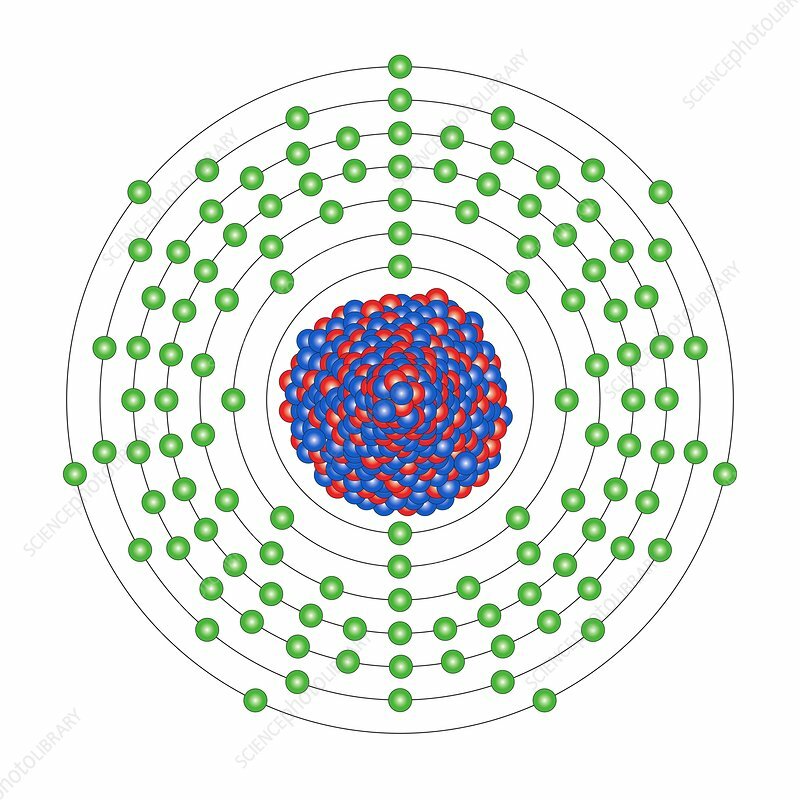 Diagram of the nuclear composition and electron configuration of an atom of ununseptium-294 (atomic number: 117), the most stable isotope of this radioactive element. The nucleus consists of 117 protons (red) and 177 neutrons (blue). Ununseptium is a temporary name (2010 synthesis not yet official). It is a transactinide of unknown properties in group 17, period 7, and the p-block of the periodic table. The ununseptium-294 nucleus (half-life: 78 milliseconds) emits an alpha particle to form ununpentium-290.